With Mafia III just finishing up some DLC, Mafia IV is going to go a bit down the timeline into another era of crime. But where will it be? WHEN will it be? Will it branch out into gangs like Mafia III was alluding to, or will it stick with it's namesake and stay with the mob? We've speculated on Elder Scrolls and Grand Theft Auto before. And today, we look at some of the most likely places for another series that tends to jump between places and eras. Lost Heaven (Chicago), Empire Bay (New York City), and New Bordeaux (New Orleans) have represented the 30's, 40's, 50's and 60's – so what's next? Going back to Empire Bay for a swing at the 70's seems like a likely candidate. A lot of real life mob activities (i.e. John Gotti and American Gangster protaganist Frank Lucas) were around here then, but it also has a lot of unique bends. New York during this time had fallen a bit and had crime, well, everywhere. Movies that could influence it are numerous – The French Connection, Godfather Part III, Goodfellas, American Gangster, and even more gang related films like The Warriors and Carlito's Way. Stylistically, every thing from glitzy glam rock and disco to grungy punk rock could dot the soundtrack, and New York stand-in Empire Bay could be reskinned and expanded easily enough. 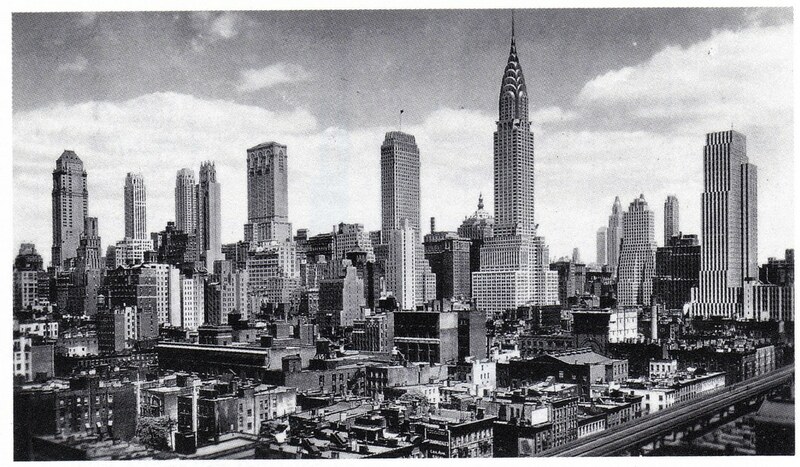 However, the Mafia series likes to jump cities, and revisiting New York so soon could be a problem. And the Mafia running tradition of making each game loosely connected could have an unusual challenge of connecting the South back up to New York. But, out of every city/era combination, 70's New York has pop culture, distinct feel, preferred time line and even not designing it from scratch on it's side. If the Mafia series wants to get past the Mississippi and yet still go with the mafia edge, one city that jumps out is Las Vegas. Even into the 70's and 80's the mafia was there backed by families from out East, so having Las Vegas (even under a renamed city-name) could hit a lot of checkmarks for what a Mafia game is about. Movies like Casino and Diamonds are Forever could help influence the game, and New Wave mixed with cowboy-country could create a unique atmosphere of Casinos and desert only a few games have gotten right (i.e. Fallout : New Vegas). 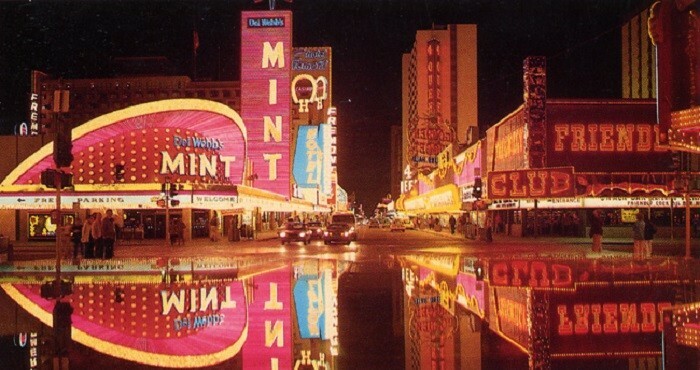 Old Vegas style mixed with neon and bright lights would also give a unique atmosphere, and would continue on the 'casino' theme seen at the end of Mafia III. Downsides to this would be a near lack of water based missions (Lake Mead and a few others are nearby, but nothing approaching the ocean levels of the previous three games) and being in a city used more often than New York for games (See Rainbow 6: Vegas, New Vegas, Goldeneye: Rogue Agent, etc.). However, a new geographic region and biome, a unique era and city matching, a popular city not used in the series yet and a time in which the changing nature of the city and mafia makes sense comes all together for another strong candidate. If “sunny” is a place developers wanted to go, Miami is a good place. While Miami in the 70's didn't have much of the crime vibe, 80's Miami certainly did. As seen in Scarface, License to Kill and GTA: Vice City, Miami in the 80's had a mix of Cuban criminals coming over, the rise of cocaine, a revival of a city and a completely different kind of mafia (Not Italian-American like 1 and 2 or African-American like 3). The style would be unique too – neon drenched hotels by the beach, 80's tunes reminiscent of Scarface, a continuation of cool cars and enough real life crime in a largely unused pop culture city to make it pretty damn unique. The downside is that 80's Miami has already been a few videos games (See GTA) and is, thanks to things like Miami Vice, the stereotypical 80's city for things to be set in. Mafia has recently branched off of that, being set in New Orleans out of all cities for 3. 1980's Miami would be the safe option and would make sense, but it may be a bit too well-used to make a unique enough sequel. If the folks behind Mafia decide to dive in more to the “gang” aspect, the non-brainer decision would be gangs of Los Angeles in the late 80s and early 90s. Menace II Society and Boyz in the Hood show the city at the time pretty clearly in regards to this, and the things like the L.A. Riots, Rodney King, and even the O.J. Trial could influence the story some. A game in this era and area would be filled with old school rap and be like New York in the 70's - a bit rougher than what people remember. A wide range of places from rich places in the hills and beach to the rougher eras would make a good contrast of glamour and the street. However, a recent string of games, including GTA V, have taken place there. And GTA: San Andreas made a great story from that era with those same themes. Crime in the 90s pretty much has L.A. as it's epitome, and like Miami in the 80s, this is the safest bet for the era due to the real life crime and the pop culture around it. But also like Miami, it's a pop culture and gaming saturated time and place and could be hard to make unique. If the 70's are up for the next game, it's a good chance New York or Vegas will be chosen, but with the time and place, it's hard to say. Many cities had different impacts. Whose to say it won's be inspired by the Dirty Harry series and choose San Francisco? Or go to Irish-Italian mob war of Cleveland in the 70's for another off-the-wall decision? The Mafia series always tries to make history right, so wherever it takes place, at the very least we know it will be portrayed right.